News about Honda developing an entry-level sedan based on the Brio hatchback has been around for a while now. The Japanese car maker has now announced that the compact sedan has been christened ‘Amaze’. The car is currently under development and will be launched in India and Thailand in the financial year 2013-2014. The Honda Amaze will be a significant step for the company in India as it will be its first diesel car in India. Word is out that Honda is developing a 1.5 litre version of its new i-DTEC diesel engine and it is this mill that will do duty in the Amaze. The car will also be available with the 1.2 litre i-VTEC petrol engine that currently does duty in the Jazz and Brio hatchbacks. An automatic version of the petrol model is also likely. Apart from being the company’s first diesel car in India, the Honda Amaze will also be slotted in that lucrative sub-four meter entry-level sedan segment, where it will compete against the Maruti Suzuki Swift DZire and the Tata Indigo eCS. Honda’s strategy with the Amaze is ‘more for less’ both in terms of value for money as well as keeping its dimensions compact for easy manoeuvrability while offering spacious interiors using Honda’s M/M (man maximum, machine minimum) concept. The Honda City has carved out a niche for itself in the minds of Indian customers as an aspirational sedan for the growing base of middle class customers. With the Amaze, Honda aims to capture another segment while sustaining the company’s core values of reliability, quality, performance and economy. This is why Honda insists on introducing the Amaze at affordable prices in India by intensifying local sourcing and production for greater cost effectiveness. The Honda Brio was developed exclusively for the Asian market, introduced in 2011 in India and Thailand the little hatchback caters well to the growing entry-level hatchback market in the region. 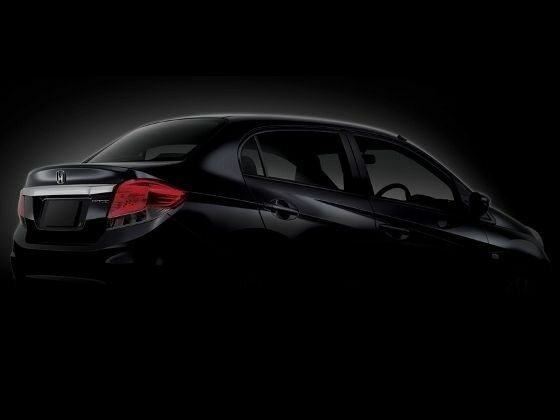 And in its sedan avatar, the Honda Amaze will be a serious rival within its segment as well as to bigger hatchbacks.